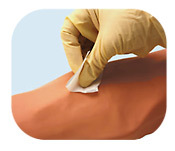 DO NOT REMOVE CAP END FROM PACKAGE UNTIL SITE IS CLEANSED AND SCAB IS READY FOR REMOVAL. 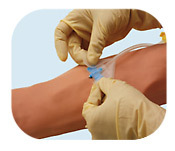 cannula with bevel facing up over the button-hole site. 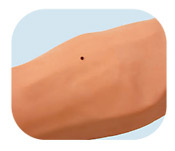 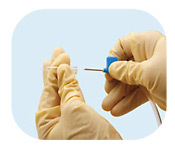 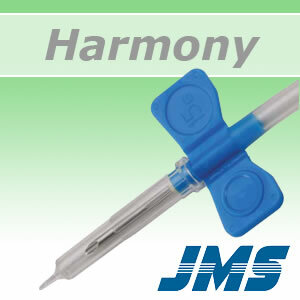 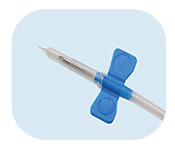 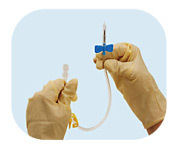 HARMONY® NEEDLE IS IN THE BUTTONHOLE ACCESS. 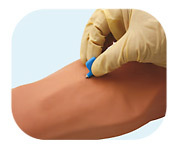 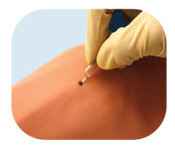 Cautiously insert Harmony® needle into the established buttonhole track ensuring the same angle and depth of insertion are used with each cannulation. 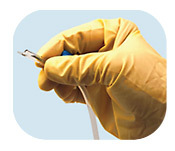 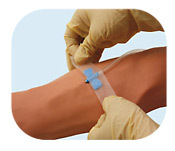 Securely tape according to clinic policy and start treatment per facility procedures.